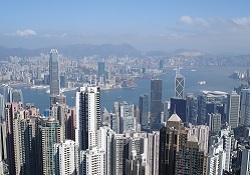 Hong Kong is one of the most popular destinations in Asia. All the unique Hong Kong tourist attractions, shopping, and food are what make this city so popular and different from anywhere else in the world. Whatever your interests are, there’s bound to be something here that catches your eye. Scroll down this page to see all the great Hong Kong attractions found all across the city. Hong Kong Island is where you’ll find most of the popular Hong Kong tourist attractions and beaches in the city. A lot of the best shopping in Hong Kong can be found on northern Hong Kong Island. One of the most popular Hong Kong tourist attractions, the Victoria Peak is the highest elevated point on Hong Kong Island. From viewing points at Victoria Peak, views of the Victoria Harbour, Kowloon, and close by islands can be seen. 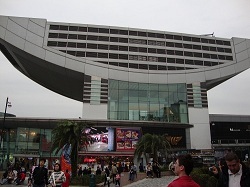 A very famous and popular amusement park on southern Hong Kong Island. 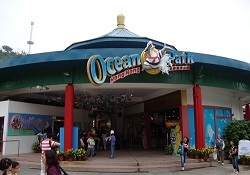 Ocean Park has lots of rides, an aquarium, restaurants, souvenir shops, and all different kinds of wildlife including Panda Bears. A town found on the southern peninsula of Hong Kong Island. Stanley has lots of unique shopping, beaches, temples and restaurants. 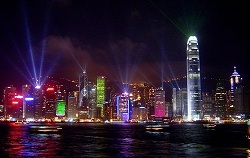 Victoria Harbour is the most famous of all the Hong Kong tourist attractions. The harbour has magnificent views that need to be seen in person to fully appreciate. 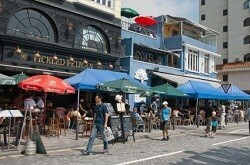 A lot of tourist attractions, shopping and buildings are found at the waterfront of the Victoria Harbour. 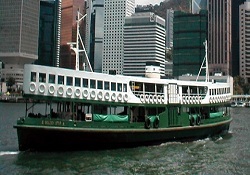 The Star Ferry consists of a fleet of ferries that takes passengers across the Victoria Harbour from either Kowloon or Hong Kong Island. It’s one of the oldest forms of transportation for crossing the harbour. 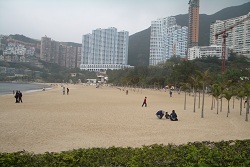 A nice beach found on southern Hong Kong Island. A temple at the beach is one of the popular Hong Kong sights at Repulse Bay. A horse racing stadium in Happy Valley where you can watch the races live and even place bets on which horse you think will win it all. 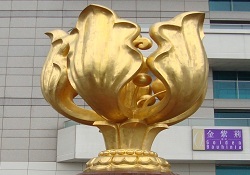 A statue of a blooming golden bauhinia found outside the Hong Kong Convention and Exhibition Center. This statue commemorates when Hong Kong was given back to China after over 150 years of British rule. An old building that was a house for officers in the Murray Barracks in Central before it was moved to Stanley. A town located on southern Hong Kong Island. Aberdeen is famous for its fishermen who live on their boats, sampan boat rides, and its two giant floating restaurants. 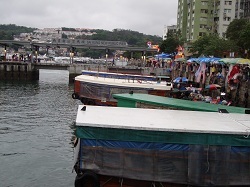 Found in the Aberdeen Harbour, Jumbo Kingdom consists of two floating restaurants attached together. One of these floating restaurants, called Jumbo Floating Restaurant, is the largest floating restaurant in the world. An island connected to Aberdeen by a bridge. Ap Lei Chau was named for its resemblance to the shape of a duck’s tongue. A country park located on the southern end of Hong Kong Island. Tai Tam Country Park consists of some hiking trails, 4 different reservoirs and Jardine’s lookout. A wax museum found in The Peak Tower at the Victoria Peak. Madame Tussauds Hong Kong showcases wax statues of famous Asian and internationally known celebrities. 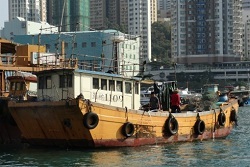 Kowloon has several Hong Kong tourist attractions packed into quite a small area. Most of these attractions are located all around the Victoria Harbour. 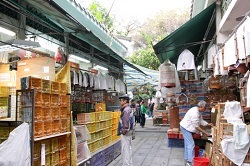 You can also find all different kinds of shopping and hotels throughout Kowloon. An open walkway that spans across the waterfront of the Victoria Harbour in Tsimshatsui. 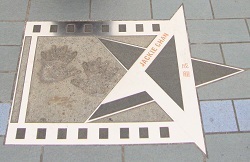 Stars are on the ground with the names of famous Hong Kong actors & actresses and their handprints in cement. This is similar to the Walk of Fame in Hollywood, California. 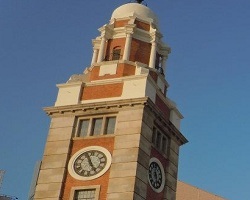 An old monument built in the early 1900s when the Kowloon-Canton Railway was built. This clock tower is all that’s left of the old railway station. A historical park that was built on the land where an old walled city in Kowloon City used to be. 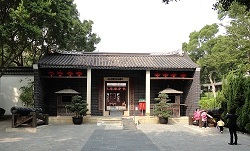 A famous temple in Kowloon that practices Taoism, Buddhism, and Confucianism. 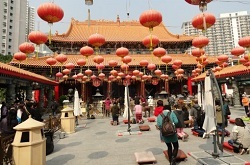 Wong Tai Sin Temple is famous for Kau Cim, a fortune telling practice which involves shaking sticks in a cup to tell you what your future holds. A garden on Yuen Po Street, Kowloon containing all different kinds of birds. You can even buy a bird and all the things you need to take care of it. Most of the Hong Kong tourist attractions found in the New Territories are fairly new. Most are located on Lantau Island which is close to the Hong Kong International Airport. 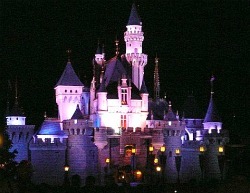 Experience the magic of Hong Kong Disneyland, a popular Disney theme park found on the northern end of Lantau Island. Make your visit more memorable by staying at one of the 2 Disney themed hotels located on site. Visit Ngong Ping Village by riding a Ngong Ping Cable Cart that spans over top of the Tung Chung Bay and over top of a mountain. 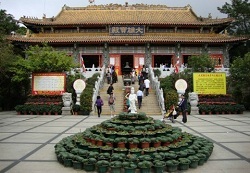 Visit the Po Lin Monastery, one of the most popular Buddhist Monasteries in Hong Kong. 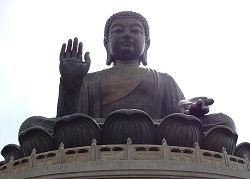 This attraction is found out in the mountains of Ngong Ping and includes the Tian Tan Buddha. Continue on from Ngong Ping Village to see the Tian Tan Buddha, the largest outdoor seated bronze statue of Buddha in the world. 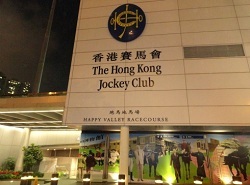 The Sha Tin racecourse is the largest horse racing racecourse in Hong Kong. Watch the races live and even place bets on which horse you think will win it all. A town located in Sai Kung that’s famous for it fresh seafood. Order your seafood fresh from a boat and take it to a nearby restaurant and have it cooked for you. Seafood doesn’t get any fresher than this! A lesser known Buddhist temple found in Sha Tin. The Ten Thousand Buddhas Monastery has over 10,000 golden Buddha statues that lead the way to the temple at the top of a mountain. One of the biggest suspension bridges in the world, Tsing Ma Bridge connects Tsing Yi Island to Ma Wan Island. One of the longest cable-stayed bridges in the world, Ting Kau Bridge connects Tsing Yi Island and Tuen Mun Road. 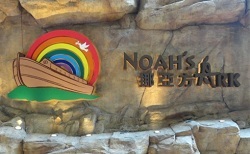 A theme park located on Ma Wan Island which has the only full size replica of Noah’s Ark in the world. More than just an airport, the Hong Kong International Airport has lots of shopping, restaurants, bars, and fun things to do. A park in north Tin Shui Wai that educates about the environment and conserving wetlands. Indoors you’ll find galleries, exhibitions, and information about wetlands. As you can see there are lots of Hong Kong Tourist Attractions located all over the city. With so much to see and do here, a trip to Hong Kong is sure to be a memorable one!